The first 3D zebra crossing in the UK has been painted on a road in north-west London in an effort to improve road safety in the area. The striped crossing appears to be floating above the road, creating an optical illusion that is visible to oncoming drivers from both directions. The aim is for the crossing to appear more clearly to motorists so that they slow down when approaching it. Located on St John’s Wood High Street in Westminster, the crossing is part of a 12-month trial to decrease the number of road-related accidents. If the trial is successful, the crossing will be implemented across the Westminster borough. “Our 3D zebra crossing could be the future of road safety across the country,” said Westminster Council cabinet member Tim Mitchell. “Far from being simply a brilliant innovation that makes the ordinary look eye-grabbing and modern – the 3D effect helps drivers to see the crossing easier,” he explained. Westminster City Council adopted the optical trick after local residents and teachers at the neighbouring Barrow Hill Junior School raised concerns around road safety. The crossing is also located near to Abbey Road, the site of The Beatles’ iconic album cover of the same name. 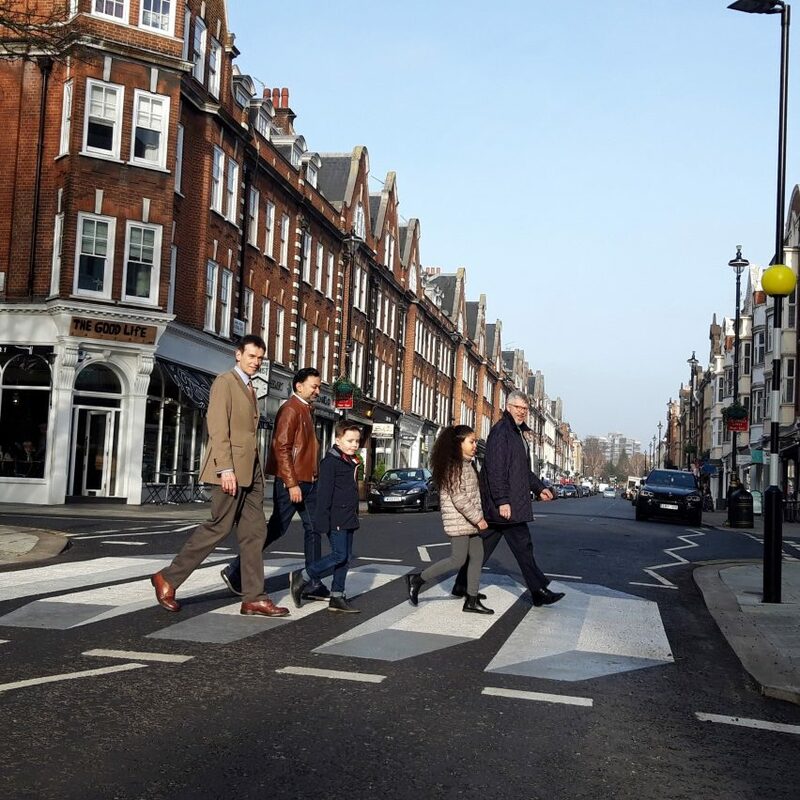 “It’s also wonderful that tourists who flock to St John’s Wood to pay homage to The Beatles at Abbey Road studios and walk the famous zebra crossing will now have another world-famous crossing to visit,” said Westminster ward councillor Robert Rigby. Although this is the first time a 3D zebra crossing has been trialled in Britain, a number of similar road crossings have been tested in Iceland, India, New Zealand and the US. According to the council, optical illusion crossings have “been proven” to improve road safety. “Trials of a similar scheme in New Delhi, India, are reported to show that average speeds where it was employed had dropped by as much as 40 per cent, from 30mph to 20mph,” reported Westminster Council. Similarly, London software company Umbrellium developed an interactive road crossing in 2017 that only appears when it’s needed. The post London’s first 3D zebra crossing encourages drivers to slow down appeared first on Dezeen.